If you've ever left your umbrella on a train or bus, or got caught in an unexpected rain shower, and your gadgets running out of power, this smart umbrella may be the answer. 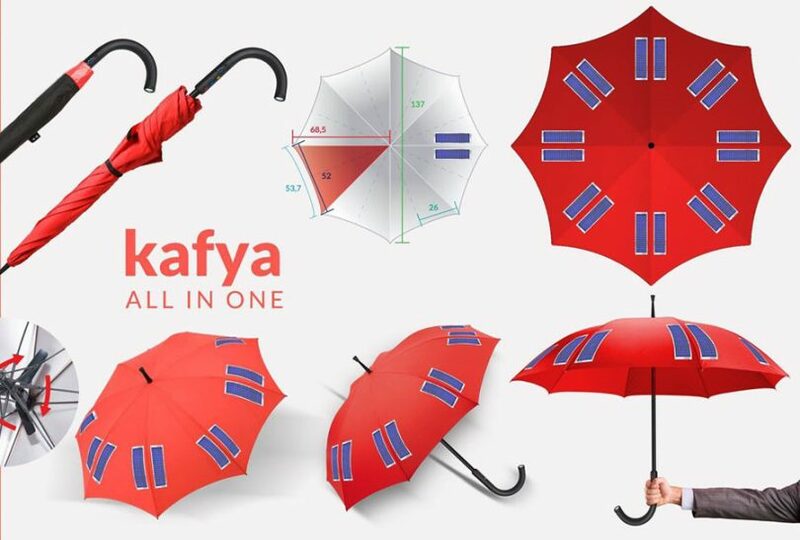 A Palestinian consultant, Manal Dandis and a Saudi Arabian researcher and environmental engineer Kamel Badaw have teamed up to create a new “smart” umbrella called ‘Kafya’, which collects powerful sunlight and converts it into useful electricity through solar panels attached at the top. 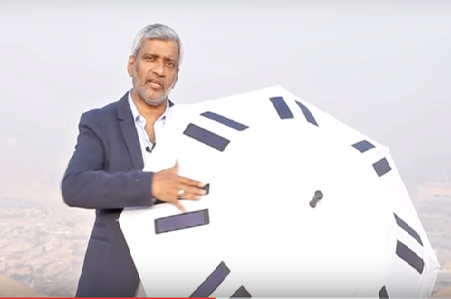 16 solar panels made from folding, light-weight fabrics and can even be used as a cane. It comes with USB ports, a fan, a flashlight, and a GPS system, to help pilgrims on their annual Haj to Mecca, which begins September 9. The electricity, which is stored in the handle, can be used to power gadgets like phones and laptops via three USB ports embedded at the bottom of the handle. The temperatures at Haj site can range from 86 to even 113 degrees Fahrenheit, pilgrims often use umbrellas as protection from the sun while performing the Haj. 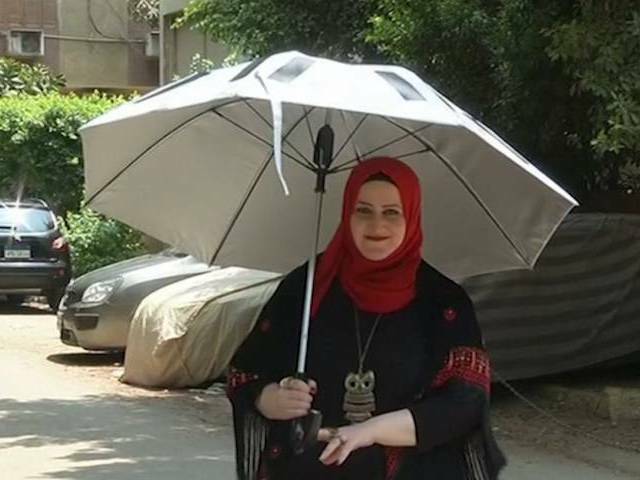 Kafya comes outfitted with a fan to keep its users cool to avoid sometimes life threatening health conditions. The GPS system is created to help pilgrims locate their relatives or friends in case a person loses track of another. “We started our idea from the Hajj,” said Badawi’s partner, Palestinian consultant Manal Dandis. “In Mecca, there are no adapters for electricity and there are three or four million people who need to charge their mobile phones,” as reported by Reuters. The idea was conceptualized last year, both Badawi and Dandis’ focus has been on designing a prototype for copyright purposes.